You’re probably all aware of Valve’s recent “Steam and the PC platform in general” press conference — if not, head over to Rock, Paper, Shotgun for a liveblogged rundown of what happened. Any developer, anywhere, will be able to start an official Steam Community, er, community for their game. This is the missing keystone of the Community and something I called for as soon as I realised it wasn’t in. The game pages will presumably surpass the functionality of today’s Groups, not least in the fact that they will have a group of paid-up developer employees behind them. But will they be used? 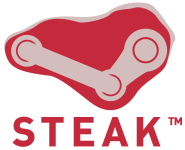 Developers are notorious (on this site, anyway) for passing over Steam’s benefits. On the one hand creating and maintaining a Steam Community community doesn’t require changes to a game’s code and all of the QA red tape that involves, but on the other, as of yet even Valve haven’t done anything with their network besides create and maintain it. There is an omen: the numerous developer groups already in existence show that other studios, including Bioware, ArenaNet, EA Mythic, Midway and Ubisoft are quite comfortable with showing their faces on the network. One thing I know even today is that Steam is the exact tool a developer needs to revive an older multiplayer game, or simply keep the momentum going on an still-popular one. An actively-maintained Group is a wonderful thing, and indeed I’ve been trying to get some momentum going in the RPS group lately with regards TF2, though to no end so far. Knocking the seemingly-immortal bugbear of PC gaming to the ground is easily within reach of Steam, and as I’ve wondered out loud several times before now the only issue is why it’s taking Valve so long to do it. Steam already checks every system’s hardware for the hardware survey, it already knows the requirements of every game for their store pages, and a check already runs for Valve’s Lost Coast tech demo. What’s taking so long to link these pieces together? Perhaps the answer is precision. Every time the hardware survey is reset we hear reports on the forums of mistaken detections (though on my system the only thing it reports incorrectly is the physical size of my 16:10 monitor) that would lead, albeit only in edge cases, to a game that demands to much processing to be greenlit for the system. Or, harmfully to sales, vice versa. GI.biz got the scoop: Valve have an interest in distributing Firefox at some point, with Steamcloud sharing bookmarks and other user settings across multiple computers. There aren’t any details on how this would work — hopefully it won’t involve Valve trying to wrap Steam around it in the same manner as the games. Perhaps this would mean an end to suffering IE embedded in Steam — or perhaps not, as I heard recently that Gecko is an incredibly unhelpful piece of technology when it comes to embedding. Can anyone fill us in on that? “We see sub ten per cent growth rates in our core, packaged retail business,” Newell said. “Right now we’re seeing close to 200 per cent growth in the alternative ways of connecting with customers. This is up from 150% earlier in the year. Bear in mind, of course, that this is for all of Steam and not just Valve’s games. Bah, I hit publish instead of save and now it’s on Google Reader. I’ll just have to stop there and tweak. Steam on Wine uses Gecko instead of IE, courtesy of an IE-compatible ActiveX control. It works on Windows too. I’ve also noticed Obsidian and Bethesda having their private groups on Steam. I’m sure there are many more, especially from smaller developers that had previous relationships with Valve (former mod-teams and such). In any case, am I the only one who doesn’t see the point of Steamcloud? Storing save files and configs in case you use a different computer to access your games seems kind of useless to me. How often will its benefits be used? Perhaps I’m the only person who doesn’t switch computers so often. Maybe they’ll be using the servers to allow people to store other things too (screenshots for example) and this is only the beginning and testing grounds for the hosting system? Time will tell, I suppose. On the other hand, the system requirements and driver checking could be great. Imagine the developers providing an ideal driver version for each of their games and Steam automatically suggesting that you install it before launching said game. That’s a whole lot more exciting to me. But Wine works by intercepting the Windows calls; using that ActiveX control as the cross-platform solution would mean that if Valve ever wanted to port Steam, they’d have to port Wine along with it. In any case, am I the only one who doesn’t see the point of Steamcloud? Storing save files and configs in case you use a different computer to access your games seems kind of useless to me. How often will its benefits be used? I may not use a different computer for Steam often, but the few times I have I really wished for a Steamcloud-like service. More: If Steam had such a thing, I might use other computers more often, because it’s no longer a pain to do so. A Timson: You can replace the IE ActiveX in Steam completely transparently with Gecko. 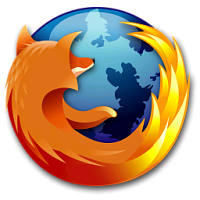 Look at http://www.iol.ie/~locka/mozilla/control.htm – it has exactly the same interface as the IE ActiveX so you can do so completely transparently. I’ve done it and it’s literally a 5 minute job. I’ve no idea if there are other issues though. I haven’t embedded Gecko myself, but given that it’s the rendering engine of choice for the Wine project, I can’t imagine it’s that bad. Did anyone read about Stardock’s “Impulse” yet? Sounds very promising and it could be a real rival for Steam. It supports all of those important features Steam and SteamWorks have and even has a counter-part to Steamcloud. Their “Common Virtual Drive” will provide 10MB storage per user per game. I’m using “Stardock Central” for quite some time now and it does what it is supposed to really well. So I’m quite curios how Impulse will turn out. I have to say, Impulse is a really nice piece of Software. Especially the seamless Vista integration will certainly appeal to more people (=casual players) than the Steam interface. The obvious difference between Steam and Impulse is, that Impulse doesn’t have to be running to play the games. All downloaded software will get installed normally, without any dependency for Impulse. This might appeal to some publishers that don’t want to tie their product to Steam. Impulse also doesn’t force auto-updates, it shows available updates in a seperate tab and let’s the user decide when to install it. Tbh, I like the Steam behaviour more in this regard. The current line-up of publishers and games is quite strong for a new platform. They also offer some useful software like Corel’s Wordperfect or AVG’s Anti-Virus. Another interesting feature is the nvidia driver update. Though it’s just a link to a webpage where you can manually download and install the driver, this link is prominently positioned, so it will get some attention. They probably will extend and integrate this feature more in the future. “Phase 2: In late August, the second phase of Impulse will be released along with the SDK for the Impulse Reactor. Additional major publishers and developers will be announced and released, along with Achievement and Game Rankings functionality. A large number of unannounced features will be announced as well. I’m going to be on holiday from tomorrow, so add a week on to the usual amount of time an article takes me.